Mark Zuckerberg's attempts to fix Facebook are causing users to spend less time on the service. Facebook (FB)'s CEO told investors Wednesday that tweaks made to the content it shows users has led to a 5% drop in the total amount of time users spend on the social network. "In total, we made changes that reduced time spent on Facebook by roughly 50 million hours every day," Zuckerberg said in a statement with the company's fourth quarter earnings report. The decline is said to come from a decision to show fewer viral videos in the News Feed. Facebook also reported its first-ever decline in daily users in the U.S. and Canada. It had 184 million daily users in this region in the quarter, down from 185 million in the prior quarter. David Wehner, Facebook's CFO, said on a conference call with analysts Wednesday that the North America user decline was caused by product tweaks and is not expected to be "an ongoing trend." The stock initially fell as much as 5% in after-hours trading following the report, a rare decline for a company that consistently outpaces Wall Street's estimates. It later rebounded as the call commenced. Facebook has rattled investors in recent months with a series of announcements in response the platform's role in enabling fake news, filter bubbles and foreign meddling in the U.S. election. On the conference call, Zuckerberg described 2017 as a "hard year" for the company. "The world feels anxious and divided and that played out on Facebook," he said. "We have a responsibility to fully understand how our services are used and to do everything we can to amplify the good." 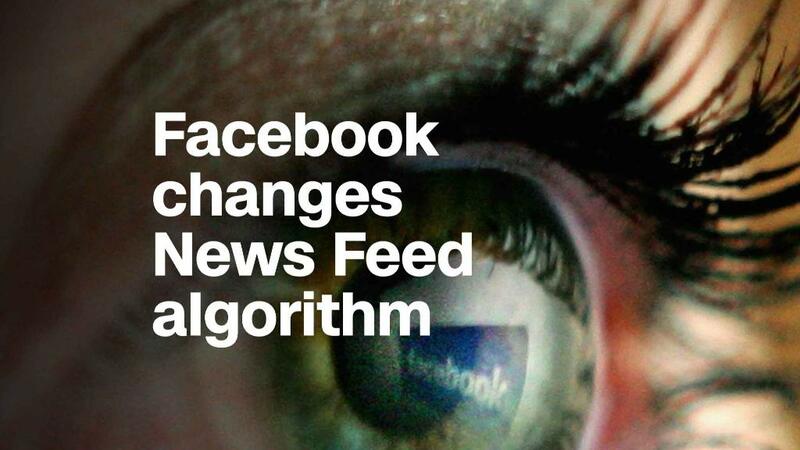 This month, Facebook announced plans to show users more content from friends in the News Feed and less from brands and publishers in an effort to boost the well-being of users. In particular, Zuckerberg targeted videos and articles that users consume passively, without commenting or sharing. Zuckerberg previously said the change could lead to a drop in user engagement and time spent on the platform, but would ultimately improve the quality of the user experience. The move raised concerns among investors about the impact on Facebook's core advertising business. For now, Facebook continues to be an ad sales juggernaut. Sales hit nearly $13 billion for the quarter, an increase of 47% from the same period a year earlier. The company now has 2.13 billion monthly active users and 1.4 billion daily users, and advertisers are eager to reach that massive audience. Earlier this month, Zuckerberg said his personal goal for 2018 is "fixing" Facebook's many problems. He cited the need to "protect our community from abuse and hate, defending against interference by nation states" and "making sure that time spent on Facebook is time well spent." In November, he said the company is "investing so much in security that it will impact our profitability." That investment includes doubling the number of people who work on safety and security to 20,000. The announcement came on the same day that executives from Facebook, Google (GOOGL) and Twitter (TWTR) testified before Congressional hearings into how Russian actors used social media to meddle in the 2016 presidential election.